Dr. Peter Capizzi has been nominated as one of Charlotte Magazine’s for seven years in a row! Winner of South Charlotte Lifestyle Reader’s Choice Award 2018! Dr. Capizzi is both a surgeon and an aesthete. 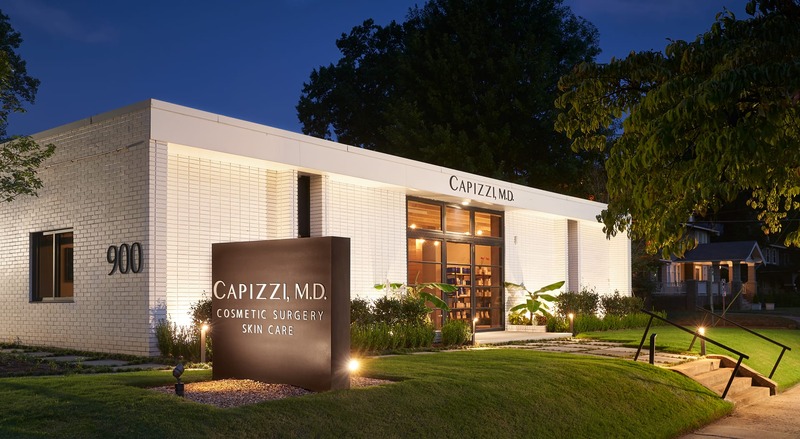 Known by his patients as a top provider of plastic surgery, Dr. Capizzi’s procedures are set apart by his ability to understand his patients’ needs. Under his care, patients are only recommended procedures that he feels will provide significant benefit. In this way, he maintains the integrity of plastic surgery while giving his patients the most natural outcome available. We offer body contouring techniques fit to help any patient take pride in his or her body. Subtle sculpting and delicate, precise changes will help you make the right first impression. While Dr. Capizzi delivers the full array of plastic surgery procedures, he is extremely knowledgeable in the nuances of breast augmentation. Dr. Capizzi is known as the “Gummy Bear Doctor” for bringing the new breast implant procedure into practice. Gummy Bear implants contain highly cohesive gel that makes them feel like natural breasts. He’s performed more than 2,750 gummy bear procedures and is among the nation’s foremost experts in the revolutionary technique. As with all procedures, he takes an individualized, highly personal approach to breast augmentation, ensuring that his patients get a look to match their body type, lifestyle, and medical history. In this way, he performs some of the top plastic surgery procedures NC has to offer. Dr. Capizzi is a nationally recognized plastic surgeon with a particular skill in breast augmentation. He’s performed cosmetic surgery for approximately 20 years in North Carolina and has extensive experience working with clients who have dynamic objectives. Dr. Capizzi was trained at the Mayo Clinic, and holds double board certifications with the American Board of Surgery and the American Board of Plastic Surgery. Dr. Capizzi focuses his practice around an appreciation for the individuality of his patients. His ability to understand their unique needs places him among the most respected plastic surgeons greater North Carolina has to offer. With the breasts arguably being the most feminine feature of a woman’s body, it’s no wonder breast enhancement procedures are among the most popular in the field of plastic surgery. Dr. Capizzi is at the forefront of breast procedures, with a reputation for delivering great breast enhancement in North Carolina. Increase breast volume and enhance the overall breast appearance. Raise your breast to a more youthful and attractive position. Improve your posture, feel more comfortable, look good. If a previous procedure was unsatisfactory, Dr. Capizzi will get the right results. Sculpt your stomach by removing excess skin and fat, and by tightening the abdomen muscles. Rid your body of stubborn pockets of fat. When done correctly, liposuction is the essence of body contouring. Regain your pre-pregnancy figure with a combination procedure that address both the body and breasts. Excellent genes and impeccable skin care slow the effects of time, but they won’t reverse the aging process. Facial procedures thwart the signs of aging by tightening skin and replenishing firmness to wrinkled areas. Turn back the clock on wrinkles by removing excess skin around the mid-face and neck. Freshen up droopy eyelids and puffy bags under the eyes with a procedure that eliminates excess fat, skin and muscle. A neck lift, also called a lower rhytidectomy, restores elasticity to the jaw and neck, achieving a firmer, tighter silhouette. Regardless of age, a glowing complexion is attainable. Dr. Capizzi’s medspa empowers patients to restore the natural contours of their face and body with refreshing, non-invasive procedures. In addition to premier skin resurfacing and non-surgical fat reduction, we offer a full array of injectables and dermal fillers, allowing patients to directly address wrinkles and sagging. When patients visit the spa, they’ll receive effortless treatments catered to their needs.